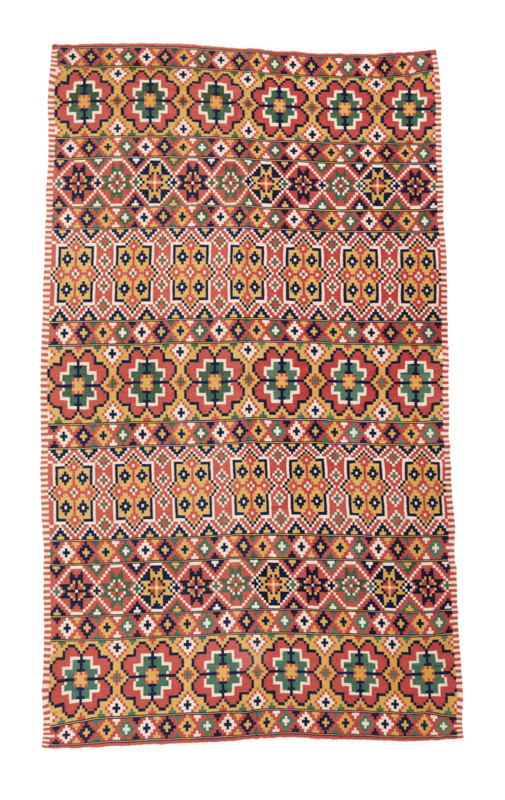 Kilim me softly ist ein Online Teppiche und Kelim Laden in Zürich. Kilim me softly est une boutique online de tapis et kilims à Zurich. This large, flat woven piece is soft and thin like a cover, but usable as a rug. Very fine work in a smooth wool. A mix of colorful, traditional motifs gives this piece a surprisingly modern touch. This is a glorious and rare example of the Swedish weaving tradition. Marlyse Flückiger is "Kilim me softly"